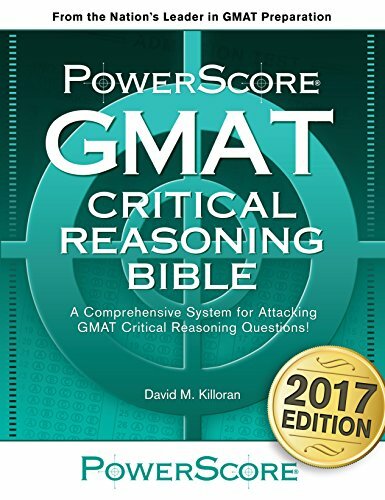 972129634 -The PowerScore GMAT Critical Reasoning Bible will teach you how to break down GMAT argumentation, how to recognize GMAT question types, and how to separate correct answers from incorrect answers. You will improve your accuracy in answering questions and your speed as well. If you are shooting for the highest score possible, the Critical Reasoning Bible will help you maximize your performance. The approaches discussed in the Critical Reasoning Bible are also useful when attacking Reading Comprehension questions. The Critical Reasoning Bible is supplemented by an exclusive website that provides additional material for the book, including suggested study plans and answers to frequently asked student questions.